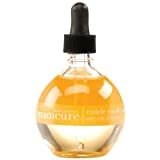 If you have damaged or dry cuticles, a cuticle oil is just what you need to nurse them back to health. They are the perfect solution for excessively dry or cracked nails and cuticles. The best cuticle oil options will usually contain high-quality vegetable oils, vitamins, and other nutrients, as well as citric acid. As there are so many brands out there, we have compiled a list of the top options available online. All the cuticle oil brands featured here were chosen based on their ratings and user reviews. 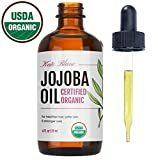 With USDA certification, this is a pure and authentic jojoba oil from Kate Blanc. The oil has been extracted using a cold-pressed method, for optimum nutrition and quality. This natural oil contains no additives, and is free from harmful hexanes. Jojoba oil is used extensively in cosmetics, for its moisturizing and healing capabilities. This is what makes pure jojoba oil such an excellent choice for treating damaged cuticles. This is a high-quality argan oil that has been produced using certified organic methods. The oil is sourced from Morocco, and is a popular ingredient in many cosmetic products. It has anti-aging, anti-inflammatory, and antioxidant capabilities, and works exceptionally well on damaged hair and skin. As a perfect moisturizer with inherent anti-oxidant powers, this argan oil is an excellent choice for cuticle healing and regeneration. This particular brand of oil is packaged in a dark bottle, for extra longevity of its contents. There are four natural ingredients in this oil blend. These are extra virgin olive oil, almond oil, grape seed oil, and lavender essential oil. This heady blend of exotic oils contains the goodness of vitamin E in it, making it a fantastic treatment oil for your skin, hair, and nails. The blend is sold in a mist spray bottle, for easy application. All the constituent ingredients have been extracted using high-quality, cold press methods, for maximum purity. The combination is an excellent treatment for brittle nails, nail growth, and cuticle repair. It nourishes the area, and promotes strong and healthy nails. Castor oil is rich in nutrients like omega fatty acids, and can nurture hair and nails, for fast growth and repair. This is a premium quality castor oil, made using the cold press method. The result is a pure, virgin oil that has been certified by the USDA. It contains no additives, and is free from ingredients like hexanes and pesticides. They have kept it unrefined to preserve its nutrient profile. It can be used for skin conditions, as well as hair and nail growth. 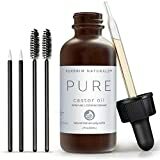 As a cuticle oil, this castor oil will moisturize your nails, and promote healthy and robust growth. Moving on to some proprietary blends that have been created specifically for the health of nails and cuticles, this one is an all-natural mix of olive oil, castor bean oil, avocado oil, grape seed oil, Vitamin E, and essential oils like lavender and tea tree oil. It contains no artificial chemicals, and is extremely safe for your skin and nails. The formula is designed to condition and smoothen your cuticles, promoting strong nail growth in the process. There is a handy applicator brush inside the bottle cap. Essie is a highly reputed and popular brand in the world of nail care. 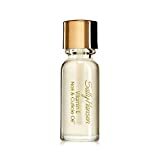 As the name suggests, this is a high-quality cuticle oil, with apricot kernel extracts as the main ingredient. It is an instant conditioner, which is absorbed very fast into your nails and cuticles. This oil will revitalize and hydrate your cuticles, without leaving any annoying residues. 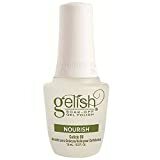 If you suffer from excessive dryness in your nails, this might be the best cuticle oil for you. Rehydrates and restores essential oils in cuticles and skin surrounding the nail. This product contains a blend of high-quality natural oils and extracts. Its key ingredients are jojoba oil, sweet almond oil, and Vitamin E. They are all ingredients we have encountered before in other cuticle oils, and have a proven track record of improving the health of your nails. The result of this blend is a very light and easily-absorbed oil that penetrates deep into your cuticles and nails, to deliver moisture and conditioning. It softens the cuticles, and helps your nails grow faster and stronger. The oil is available in a small bottle, similar to a nail enamel. For starters, the packaging of this best cuticle oil looks nothing short of fantastic. The oil container is made of glass, and looks like a rounded potion jar. 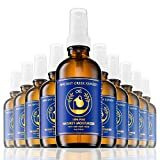 Like some other products on this list, it is a blend of natural, organic oils like safflower oil, sunflower oil, cottonseed oil, and vegetable extracts. You also have the option of choosing between two flavors, namely milk and honey, and pomegranate and fig. They use natural extracts for both of these flavors. The oil has an excellent moisturizing effect on your cuticles, and is quite soothing. This is a potent essential oil complex, boosted with no less than 4000 IUs of Vitamin E. The main ingredients in this oil blend are wheat germ and apricot kernel oils, along with aloe vera extracts and Panthenol (pro-Vitamin B5). You get a light, yet potent oil that goes deep into the cuticles, to hydrate and revitalize damaged areas. It can have an almost instant impact on severely damaged cuticles and nails. Though this oil has a slight scent, it is hardly noticeable. While all the other products are delivered in bottles of varying sizes, our number one best cuticle oil is packaged in the form of a pen. This ensures that the oil is easy to apply, while minimizing the chance of wastage. It has a swift action, and can repair and harden weak and peeling nails in a matter of days. This oil blend can also cure hangnails. It is all-natural mix of jojoba oil wax, olive oil, grape seed oil, vitamins, and other natural essential oils. The oil has an extremely delightful scent, reminiscent of citrus, vanilla, and pomegranate. This list of the best cuticle oil brands includes single-ingredient organic oils, as well as complex blends. We have tried to compile a list that avoids artificial and chemical ingredients as much as possible. Please let us know what you think of the products we’ve chosen in the comments section below. We would love to hear if you have another favorite product that can compete for the title of the best cuticle oil as well.